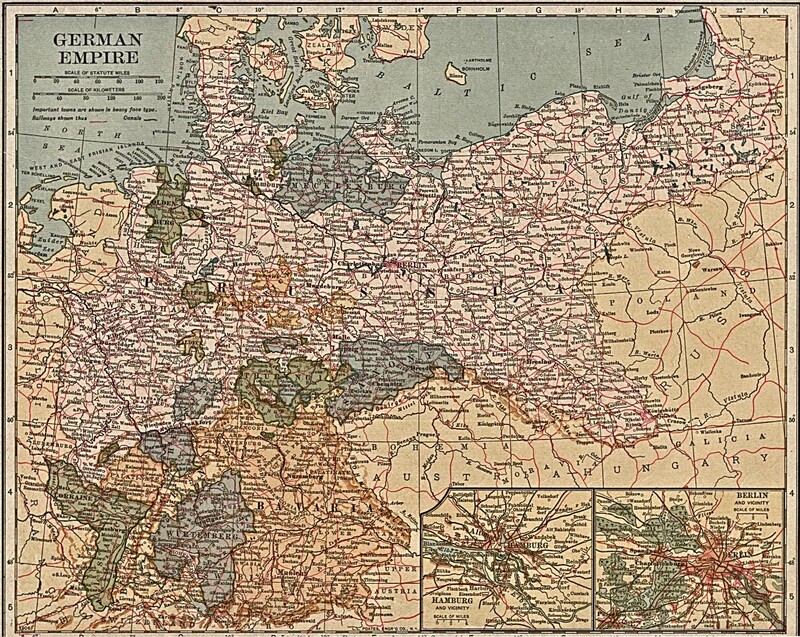 Although often referred to as the German Empire, the HOLY ROMAN EMPIRE was not German by nature (despite the Germanic dialects speaking population being the largest and dominating element). Maps featuring the Empire's territorial development are featured in a separate directory; click on the label on the left. Muir's New Historical Atlas for Students, 1911 : The Growth of Prussia, Growth of the Habsburg Domains posted by Cultural Resources Inc.